Pay via PayPal now & save lot of $$$ on Taxes as we are absorbing it for you. Once you enter the software name & price, click on Pay Now button. It will take you to PayPal Payment Processing Page. 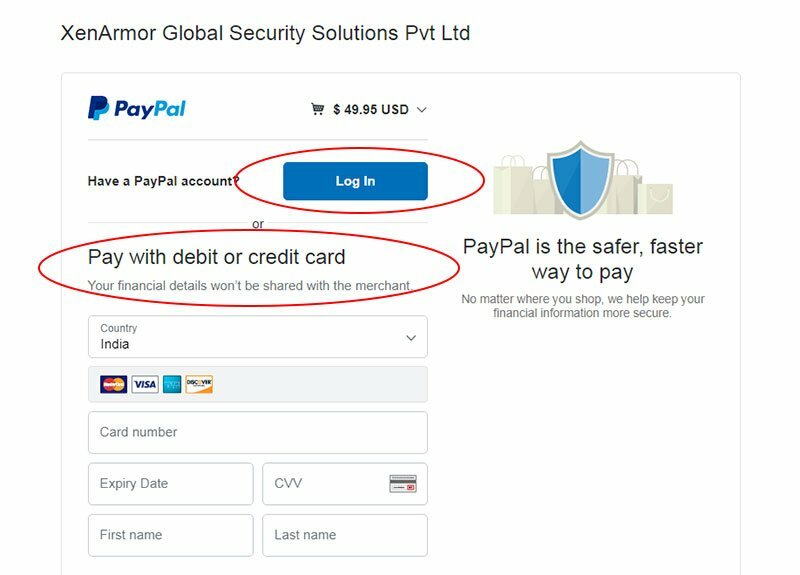 Here you can login to your PayPal account and proceed to pay.